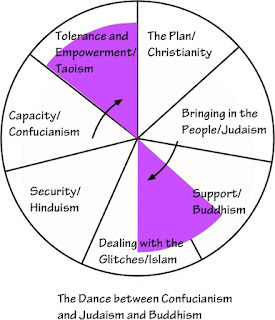 Taoism teaches the principles of Tolerance and Empowerment. Opposite sides of the planning circle address similar issues. On the opposite side of the planning circle, are Buddhism and Islam, which deal with issues related to your support and crisis in the family.